In a perfect world, you wouldn’t need to wear headphones in the studio. You’d be in the control room in front of a pair of studio monitor speakers, tearing off a blistering guitar solo through a massive amp stack miked up out in the live room. Back to reality: Inspiration has struck at 11:30 p.m. on a school night, and now you’re sitting in front of your laptop, hoping your downstairs neighbor can’t hear you humming along as you try to pick out the chords you’re hearing in your head. In reality, headphones are a must-have tool for music and audio production — you need them to be able to hear yourself, your fellow performers, and the other tracks you’ve laid down. So, what do the pros use? Watch our video interview with music producers Joe Dilillo and Joshua Staar at Solid Sound Recording to get their thoughts on the best headphones for studio monitoring, from the AKG K240 headphones for recording vocals, to the Shure SRH840s when headphone bleed is a concern, to the Audio-Technica ATH-M20x headphones that can stand up to wear and tear in the live room. Q: What do you look for in a pair of headphones? Joe Dilillo: First and foremost, it depends on what the application is. If it’s for mix reference, then obviously I want something that is true — I look for something that isn’t really hyped up, that has a relatively flat response. In terms of client use, durability and price are probably the two biggest factors, because in a commercial studio environment headphones have a tendency to break more frequently than if you’re using them in your own personal studio. You can’t be buying $300 pairs of headphones knowing that they’re going to be broken within a month. Q: Do you recommend using headphones for mixing? Dilillo: I do both extremes when using headphones for mixing. I’ll use something that’s a little higher-end, that rivals a really good set of near-field monitors, and I’ll use a pair of $25 earbuds — because more often than not that’s what people are going to be listening to the mix on. Q: What are your favorite pairs of headphones? 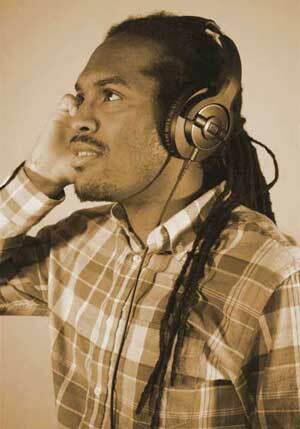 Joshua Staar: [pointing out AKG K240 headphones] These ones are the classics. Dilillo: Yeah, the AKG K240s. Closed-backs are great, especially with a drummer when you kind of have to be enveloped by the click and what’s going on in the track, but I don’t think the vocalist can get a really good sense of pitch and performance if the headphones are closed-back — it kind of feels other-worldly. Joshua Staar: We record a lot of choirs and people really like [AKG K240 headphones] because they can hear a bit of the other people, where if it had been totally closed it’s a little harder. With these being open-back, they are a little lower gain, and so if you are doing something like an intimate vocal performance and you have to have a click or some other instrument in there that bleeds through [into the mic], they’re not always the best choice. Dilillo: The Shure SRH 840s — I think are really great headphones in a couple of respects. Number one, they sound really good — they’re comfortable to wear; they’re closed-back, so click bleed is not much of a concern with these. Staar: They sound excellent — I’d also say that if you’re singing, you really want to hear all the nuance in your voice and these headphones allow you to do that. There’s minimum bleed, so you can pump the volume up as much as you want. Dilillo: And just as important — price-wise, they’re not exorbitantly expensive. They’re not cheap, but they’re not gonna break your bank account either. Staar: So this is a new pair we got recently — the Audio-Technica ATH-M20X. One of the best points about this is that it has a metal frame. And so if we know the clients are going to be a little bit more, you know, aggressive with the headphones (and some are), I’ll give them these because they can stretch ’em, and it’s not going to break. Dilillo: And again…the price point is good, they’re relatively cheap, in case they break or we’re in a situation where we have a large ensemble coming in and we need to buy six more pairs. 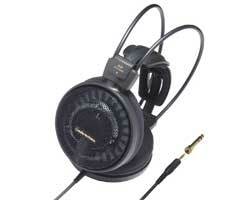 Staar: We have a couple pairs of these [Audio-Technica ATH-M20X], and they’ve really stood up. With studio headphones, isolation and bleed are your most important considerations. Closed-back vs. open-back designs make a big difference in how well headphones isolate. Read on to learn what these terms mean. 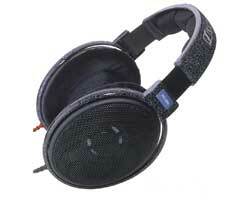 Sennheiser HD280s are closed-back headphones with excellent isolation. Sometimes simply called “closed” headphones, this term refers to the design of the back of the earcup — the part of the headphone behind the speaker driver. Closed headphones are sealed and insulated to prevent sound from leaking out, so they almost always deliver better isolation and less bleed than open-back cans. The trade-off is that the design causes pressure to accumulate inside the headphone, causing false low frequencies. Because of this, closed-back headphones are regarded as less accurate for critical listening, but they’re still indispensable in the studio for how well they isolate. Open-back headphones (and their cousins, semi-open-back headphones) are also known as open-air headphones, since they allow air to pass freely in and out of the back of the cups. Instead of a sealed wood or plastic covering, these headphones typically have a grille or perforations on the back of the earcup, and you may even be able to see the headphone driver inside. These headphones can provide a quite different listening experience: instead of sealing you off from the outside world, they can give you a feeling of being in your environment, much like listening to a pair of speakers in the open air in front of you. Open-back and semi-open headphones are generally regarded as the most natural-sounding and accurate headphones out there. But because they let some sound escape into the air around you, they can be impractical for recording using microphones. Acoustic isolation refers to how well the headphones keep external sounds “out,” and how well they keep your headphone mix “in.” Some headphones can reduce outside sounds by some 30 decibels, while preventing the the sound coming through the ‘phones from escaping into the recording microphone. Acoustic isolation is key when recording vocals, acoustic instruments and drums. If you need excellent isolation, look for closed-back, circumaural/over-ear headphones with thickly padded earcups that seal against your ears. Keep in mind that this sound isolation isn’t active noise-cancelling — it’s passive isolation. The better headphones isolate, the more they avoid bleed — the sound from the headphones leaking out into the air around you. If you’re sitting next to someone on the train whose headphones don’t have good isolation, you’ll know it. In the studio, headphone bleed creates bigger problems, especially when you’re recording vocals. Picture a singer wearing headphones in front of a mic. The headphones are close to the microphone, so if you’ve got a click track in your headphone mix — or any other track, for that matter — you run the risk of it being picked up by your vocal mic. That can cause all sorts of problems in mixing, especially for vocals performed quietly. That’s one reason why it’s important for studio headphones to isolate well. 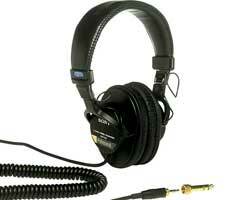 Below are some frequently asked questions about studio monitor headphones. Click a question to see its answer. What are the best headphones for recording vocals? 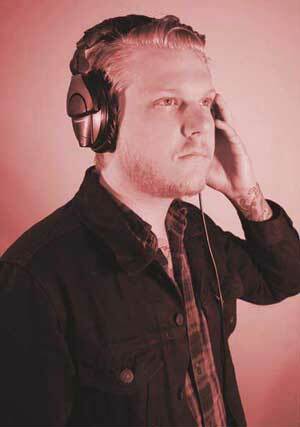 Choosing headphones for a vocalist is all about finding a balance between isolation and comfort. 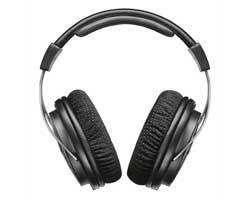 A pair of semi-open-back headphones can be the happy medium that provide well-balanced sound at at the right price. In a perfect world, you’d be able to record vocals with a pair of high-quality open-back headphones, since high-end open-backs generally provide the most natural, honest, accurate frequency balance — helping singers stay in tune. However, there’s a trade-off: since open-back headphones don’t provide as much isolation as closed-back headphones, they’re much more susceptible to bleed, which means you’ll need to keep your headphone volume much lower if you’re rocking open-back ‘phones while recording vocals. It’s a good idea to have a few different pairs available for a vocalist to choose from. If you’re getting too much bleed with semi-open-back headphones, you’ll need to switch to closed-back headphones. What are the best headphones for recording a choir or vocal group? Open-back or semi-open headphones help each singer hear a bit of the other singers around them — just like they’re used to hearing in rehearsals and performances. With group vocals, singers are often farther away from the microphone(s) than they would be when recording solo, so bleed is much less of an issue. Why record vocals with one ear on, and one ear off? Wearing headphones can be a disorienting experience for a singer — especially if you’re not used to hearing yourself coming through the cans. This feeling can cause a singer to deliver a weak performance that’s under pitch or lacking in energy. That’s why some vocalists prefer to wear one earcup while keeping the other completely off. If you’re working with a singer who prefers to monitor one-sided, try to set up a mono headphone mix for them on a separate bus that’s completely panned to the single ear they’ve chosen to keep “on.” This way, the vocalist will hear all the mix elements, and the ear they’re not wearing won’t leak out into the room and get picked up by the microphone. What are the best headphones for recording acoustic guitar and other acoustic instruments? Anytime you’re recording an acoustic instrument with a microphone, headphone bleed can be an issue. So closed-back, over-ear headphones with good isolation are your best bet for avoiding bleed. 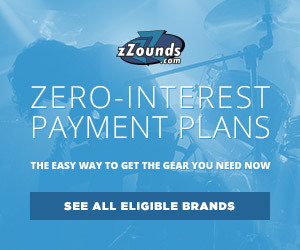 Best headphones for recording drums? Unless you’ve got bagpipes in the studio, drums are likely the loudest acoustic instrument you’ll be recording on any given session. In order to hear their fellow musicians, backing track, “ghost” track, or metronome click, a studio drummer will need headphones that isolate very well. In fact, there are specific sound-isolating headphones for drummers that look very much like the ear protection shooters wear on a gun range, designed to seal tightly around your ears and provide extreme isolation so the drummer can hear their headphone mix over the sound of their own instrument in the room. Best headphones for recording electric guitar or bass? You have a lot of flexibility here. If you’re recording electric guitar or bass “direct,” headphone bleed is a non-issue — you can use open-back headphones, closed-back headphones, or simply listen through studio monitor speakers. If you have the luxury of a separate control room and live room, you can skip the headphones entirely by just miking up the amp in the other room. But if you’re playing in the same room with your amplifier, you’ll need a pair of headphones loud enough and with enough isolation that you can hear the mix over your amp. With a microphone right up on the grille of your amp, headphone bleed usually won’t be a problem — but if you’re right next to a screaming-loud amp stack, you may prefer to use headphones with plenty of isolation because they’ll help you hear the headphone mix in addition to your amp. If you must do actual mixing and mastering in headphones, your best bet is a pair of audiophile-worthy open-back reference headphones. Open-air headphones are great for those long mixing sessions because they don’t put much pressure on your head, so you can wear them for hours. If your budget limits you to one pair of all-purpose headphones, we recommend a pair of high-quality closed-back cans — they’re just more versatile than open-backs. However, if you can afford two pairs of headphones, grab a pair of semi-open or open-back headphones in addition to your closed-backs. Finally, it’s important to point out that studio monitor speakers exist for a reason — you’ll be able to make better mix decisions when you’re moving air out in a room. While it’s always a good idea to check your mixes on all sorts of playback devices — including car stereos and earbuds — your studio monitor speakers are your best tools for EQing and placing elements within the stereo field. In the professional studio, headphones are primarily a tool for tracking, and secondly a tool for troubleshooting, testing, and repairing gear. How do I break in a new pair of headphones? See below for our guide to breaking in your new headphones. 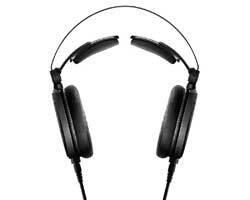 Studio monitor headphones vs. audiophile headphones -- what's the difference? 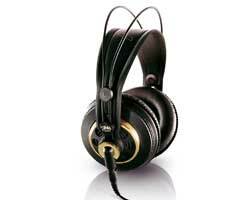 Studio monitor headphones are generally more durable, while audiophile headphones tend to be more luxurious. Audiophile headphones are for the home hi-fi enthusiast listening in a controlled environment, so they’re more likely to be made with delicate materials like sheepskin leather, velour, and hard-to-find woods. On the other hand, studio monitor headphones must be tough enough to be stuffed into a laptop bag and kicked around by a bands on a recording session, so they’re more likely to have practical features like folding earcups and a single-ear cord. 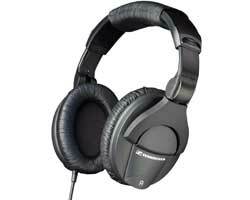 Sound-wise, high-end studio monitor headphones and high-end audiophile headphones can be quite similar. If you’re working solo in your studio, a pair of reference-quality audiophile headphones will probably serve you well for monitoring your mixes. But if you’re looking for several pairs of tracking-room headphones to pass out to the band that’s coming in to record, you’re better off picking up some entry-level studio headphones. Studio headphones can range from relatively inexpensive tracking-room headphone that bigger studios purchase in bulk, to your prized pair of audiophile-grade reference headphones you can use for mastering. These bang-for-the-buck headphones are time-tested classics in the recording studio. Sennheiser HD280 headphones offer excellent isolation, which makes them great for most studio recording tasks where bleed could be an issue. Although Sony MDR7506 headphones are known for being a touch bright in the high-end, they’re a staple in many recording studios, radio stations, and location sound recordists’ kits. Metal hinges and replaceable earpads make them durable, and they fold flat for transport. And if you want the more natural, detailed sound of semi-open-back headphones, AKG K240 headphones are a recording-studio fixture. Audio-Technica ATH-M50x headphones have earned their stellar reputation as the most popular model from A-T’s venerable M series. If you’re strapped for cash and need lots of headphones, the M20x, M30x and M40x have their place. However, the M50x is a classic studio workhorse for a reason — its larger 45mm drivers give you extended response and solid lows. 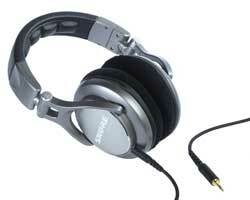 From the “you get what you pay for” file, we’d like to shout out Shure SRH940 headphones. With upgraded drivers and a more comfortable headband and earpads, these foldable closed-back cans are even better than Shure’s super-popular SRH440 and SRH840 models. And if you haven’t tried a pair of fully open-back studio monitor cans, you owe it to yourself to check out Audio-Technica ATH-AD900X headphones. These open-air cans feel incredibly light on your head, and they deliver supremely natural sound that feels like it belongs in the space around you — not inside your head. If you do production work in an apartment where you can’t crank up your monitor speakers for fear of disturbing the neighbors, mixing in these headphones is the next best thing. While open-backs may have too much bleed to be useful for serious vocal recording, the ATH-AD900X headphones are a joy to wear plugged into a keyboard instrument as you practice singing along — you’ll be able to hear your voice much more clearly than you would with isolating closed-back headphones. In the high-end price range, there’s quite a bit of overlap with what you might call “audiophile” headphones, although some pro headphone makers avoid that term when attempting to appeal to the studio professional rather than the hobbyist home hi-fi listener. If you require closed-back cans for monitoring while tracking, Shure SRH-1540 headphones are some of the best for their accuracy and comfort. In the open-back category, Sennheiser HD600 headphones and Audio-Technica ATH-R70X headphones are time-tested favorites that you can trust for critical listening. However, since they have very high impedance — 300-ohm impedance for the Sennheiser HD600, and 470-ohm impedance for the ATH-R70X — you may not want to plug them directly into your portable device’s or laptop’s headphone port. These cans will sound best if you use the headphone out on your audio interface or a dedicated headphone amp. What does it mean to “break in” or “burn in” a new pair of headphones — and how do I do it? First, a vocabulary lesson: although the terms are sometimes used interchangeably, “breaking in” and “burning in” aren’t the same thing. “Burn-in” is the practice of running power through brand-new electrical components for an extended period of time to detect flaws, with the idea that if a component is going to go bad, it will happen within the first hours or days of its life. “Breaking in,” on the other hand, is a mechanical process that requires movement — like stretching brand-new guitar strings, or walking in a brand-new pair of shoes. Your new headphones arrive from the manufacturer with speaker drivers that are over-tensioned on purpose, so they’ll “relax” just a small amount in the first day or two of use. When you first unbox your new ‘phones, they may sound slightly more harsh than they ought to. Once they’re “broken in,” your headphones’ drivers will vibrate more freely — and maintain the proper tension for several years. Whether headphones actually require “burning in” or “breaking in” has been a source of much debate among audiophiles. Some listeners (and headphone manufacturers) claim that headphones don’t start to sound their best until they’ve been used for tens or even hundreds of hours. Others claim that this is simply a placebo effect. Whether or not your headphones actually benefit from the break-in process, it certainly won’t hurt to play music through them at a medium-loud listening level for 24-48 hours. Don’t play straight pink noise or white noise — you want your drivers moving around, bumping to music that’s tonally varied and dynamic. Cue up a playlist of jazz, classical or world music at a nice healthy level, and let your headphones sit on your studio desk for a day and night. They won’t be any worse for the wear — and they may well sound better and more accurate, with smoother frequency extension in the highs and lows. 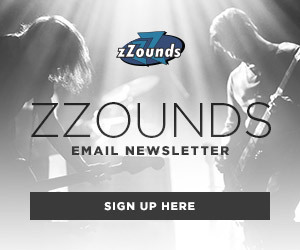 Great article about studio monitoring headphones! Very comprehensive and informative. 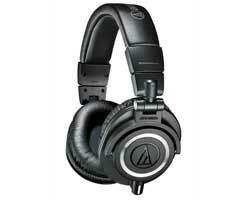 I personally think that the Audio Technica ATH-M50x are the best monitoring headphones on the market. They’re not as expensive as premium mixing headphones, but their performance is just as great as the more expensive ones. Even this website http://studiomonitoringheadphones.com/best-studio-monitoring-headphones/ considers it the best open-back studio monitoring headphones. I’ve tried other headphone monitors but I haven’t found anything that provides a better performance than the ATH-M50x. I do like the Sennheisers, though. They come close to the ATH-M50x but they’re still a bit lacking imo. What’s up, fellow Maya? The ATH-M50x are definitely a favorite here at zZounds, but remember — they’re CLOSED-back, not open-back. Thanks for reading our buying guide! Ooopss I meant to say closed-back. And you’re welcome, fellow Maya! The “breaking-in” process is a placebo effect. If you’ve been listening on one pair of headphones for quite some time, your ears will be adjusted to hearing those dynamics and that frequency response, but when you start listening with new headphones, your ears need time to adjust to the new sound. Although the sound may be a very slight difference, your ears will notice. People think this change in sound over time only happens when you wear new headphones for a while, but this happens even if you use old and well-used headphones. Senn HD 280s are a great choice! For the money, you can’t go wrong with those. We’ve got a pair kicking around the zZounds HQ that have taken some abuse over the years, and are now held together with gaff tape. They just won’t quit.